This premium tilting flat-screen TV wall mount is suitable for all brand TVs in the market, Samsung, Sony, Panasonic, Sharp, LG, Vizio, etc. 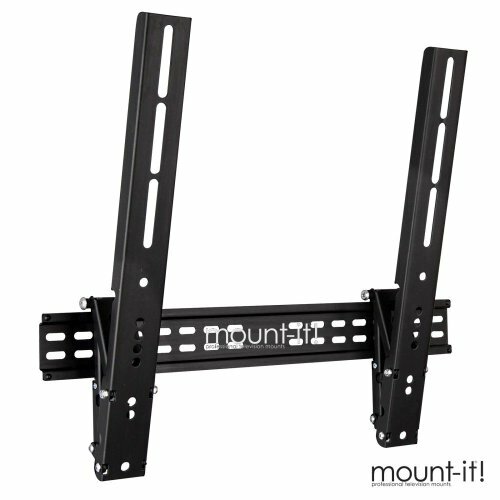 This professionally designed TV wall mount bracket allows for a continuous tilt adjustment, up to 15 degrees down, to optimize your viewing angle from a couch or seating area. 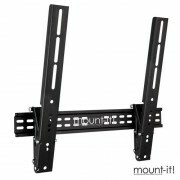 This TV wall mount is perfect for boardrooms, digital signage, hotel rooms or home theaters. The back of the display sits less 1 inches ( only 19mm) off the wall for a sleek installation. The kit includes everything you need for installation, including easy-align brackets and a unique wall plate that can be mounted to a single wood stud, two wood studs, or concrete.